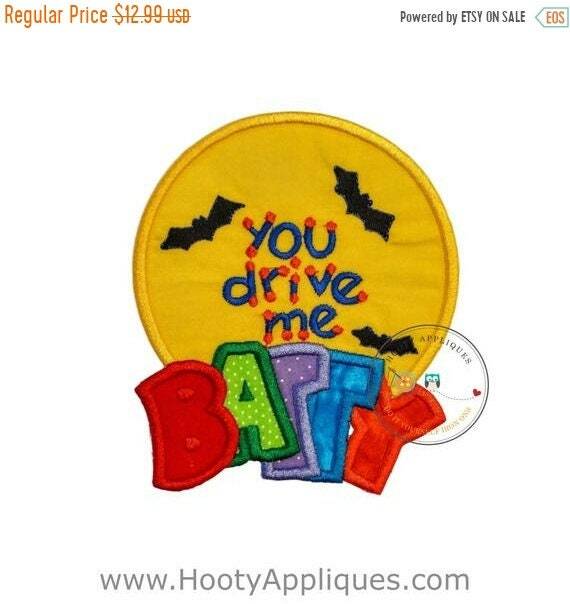 Halloween -you drive me batty is a iron on applique with embroidered details. Instructions for application is included. 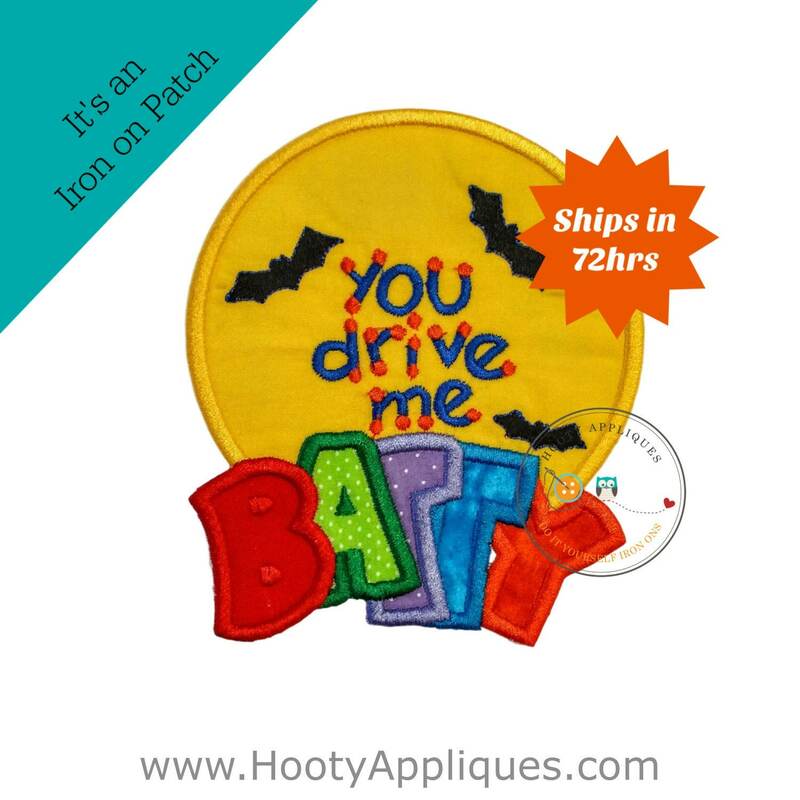 *Patch Fits a 5x7 area. Please see our FAQ section below for more information.We are liquidating our current stock, therefore, we are no longer offering color/fabric changes or personalization. Patch will come as pictured.